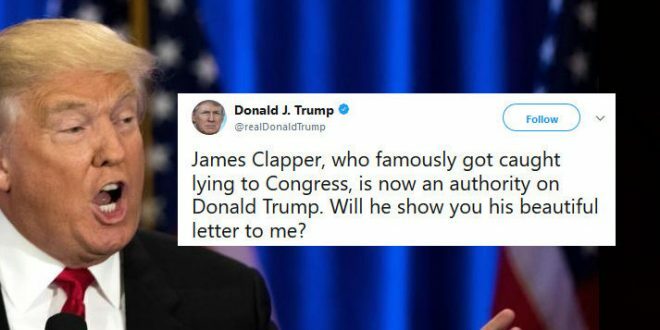 Trump Lashes Out At "Liar" James Clapper - Joe.My.God. Clapper emphasized he was speaking as a private citizen and not as a member of the intelligence community. Clapper — a CNN national security analyst — had questioned Trump’s “fitness” to hold the office of the President less than 24 hours earlier. That came during a “CNN Tonight” appearance early Wednesday, following Trump’s divisive campaign rally in Phoenix, Arizona, on Tuesday night.